Okay, despite the title of this post I did actually have a pretty good time at this show, and really I can only fault it for being way too successful. I’m no stranger to busy events or even popular tourist attractions in London, Paris or Rome. Hell, I’ve even shopped in Ikea on a bank holiday weekend when there was sale on! Admittedly some of these things drove me to drink and/or psychiatric pharmaceuticals and required bed rest the following day, but you get my point: I’ve seen and shopped in big crowds before. 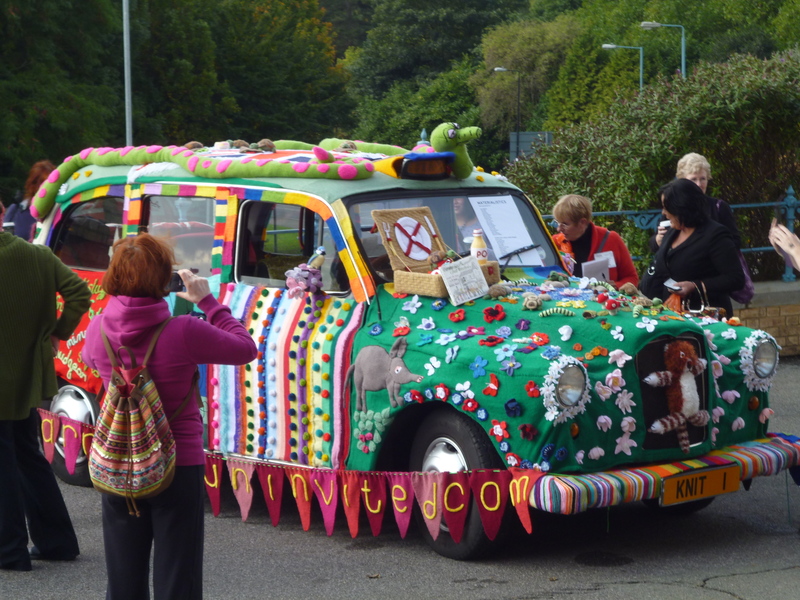 Yarn bombed Taxi parked out the front of Alexandra Palace. I was a bit disappointed that more yarn bombing hadn’t been done in and around the venue. 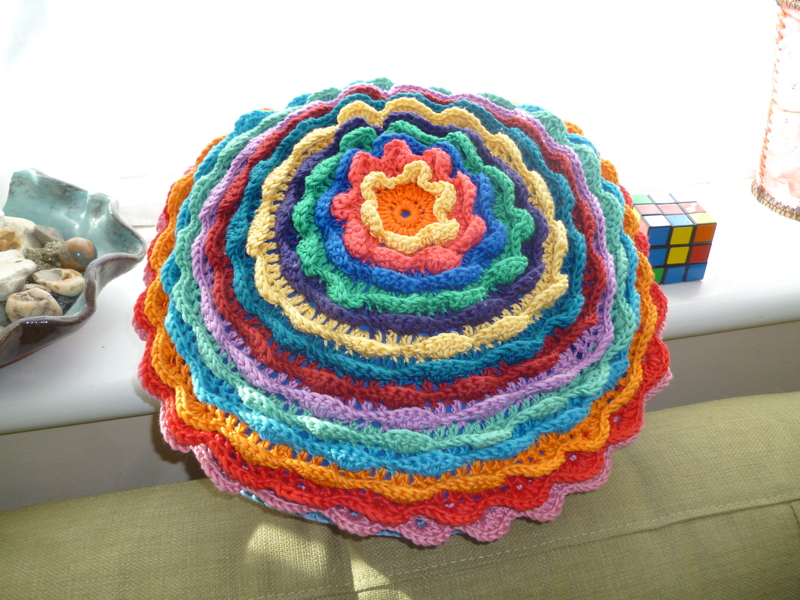 I’ve been making things to give to my mum for her birthday for months now, but even with a huge head-start I found myself running around like a headless chicken this morning. I have no trouble planning and making a gift weeks before it’s needed, but pressing and wrapping things I’ve made always happens at the last possible moment! 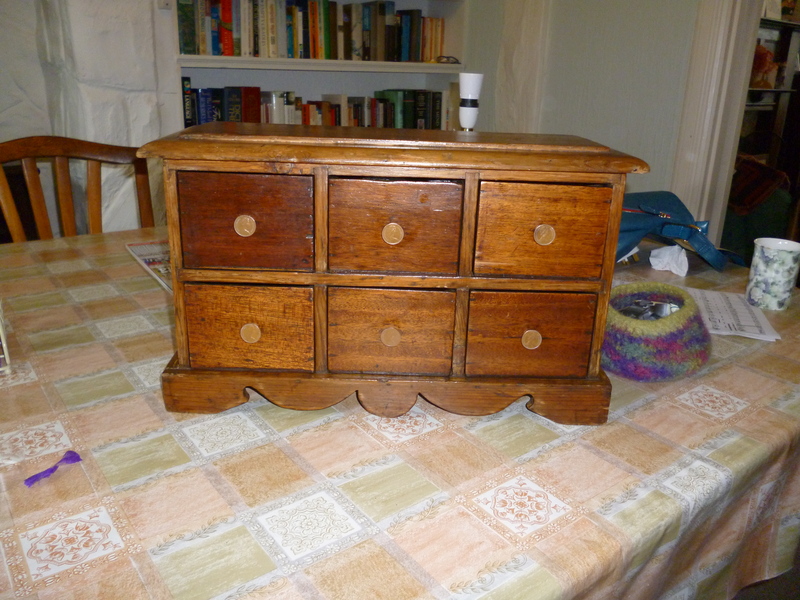 I found a fantastic little chest of drawers in a local secondhand shop that is perfect for storing Mum’s sewing bits and pieces. It was filthy and missing most of its handles so it took a while to spruce it up enough to make it present-worthy. It’s now at least three shades lighter! I couldn’t find any handles small enough to fit, so I made my own by attaching pennies to small bolts with Milliput (a two part epoxy putty that I’ve been dying to play with for ages!) It turned out rather well, and Mum loved it. I made something to go in each drawer, although I did cheat a little and put sweets and hankies in the sixth drawer. 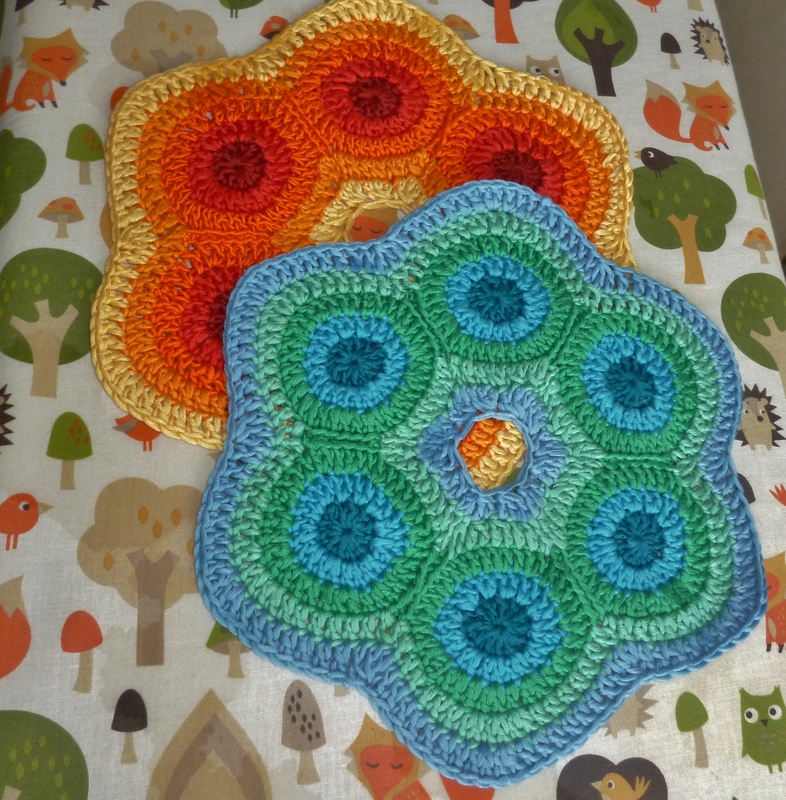 The two mats I using the retro-style mandala pattern from Simply Crochet Issue 9 only needed a light press and careful folding to make them fit.